An article published in the journal “Nature Astronomy” describes the first observation of a binary system formed by high mass newborn stars. A team of researchers used the ALMA radio telescope to study a star-forming region cataloged as IRAS07299-1651 where a cloud of gas and dust is collapsing adding materials to two protostars that have similar masses for a total of at least 18 solar masses and must still reach a state of stability. The observations indicate that this pair was born from the division of a single disk of gas and dust and now each of the two protostars is surrounded by its own disk. 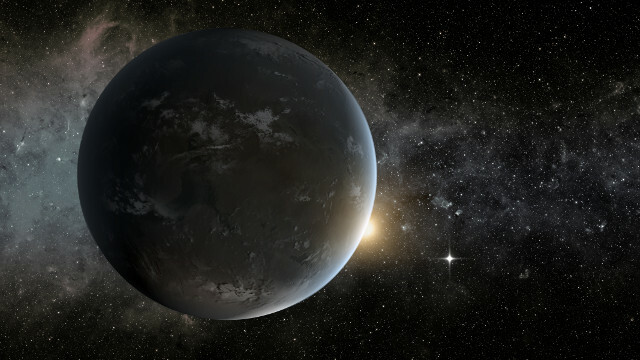 An article published in the “Astrophysical Journal Letters” offers considerations on the possible advantages in the search for biosignatures such as the presence of oxygen and methane on exoplanets orbiting a K-class star, a bit smaller than the Sun. 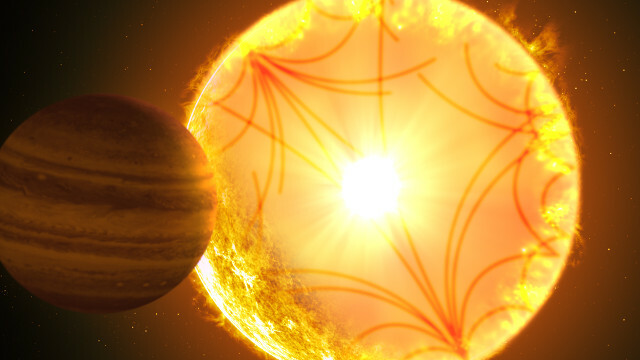 Giada Arney of NASA’s Goddard Space Flight Center tried to find out what those biosignatures and therefore the signs of the presence of life forms on an exoplanet in that kind of system could look like creating a series of computer simulations to understand where to look for traces of oxygen and methane. An article to be published in “The Astronomical Journal” offers evidence that confirms the existence of the exoplanet Kepler-1658b almost ten years after the detection of its first traces by NASA’s Kepler space telescope, which made it the first candidate discovered in its mission. A team of researchers led by Ashley Chontos, a student at the University of Hawaii, reviewed the data collected after that first detection also using the technique of astroseismology to confirm that the planet actually exists. The results were also presented in recent days at the Kepler/K2 Science Conference held in Glendale, California. An article published in the journal “The Astrophysical Journal” reports the analysis that led to unveil the origin of two gas flows from the newborn star MMS5/OMC-3. 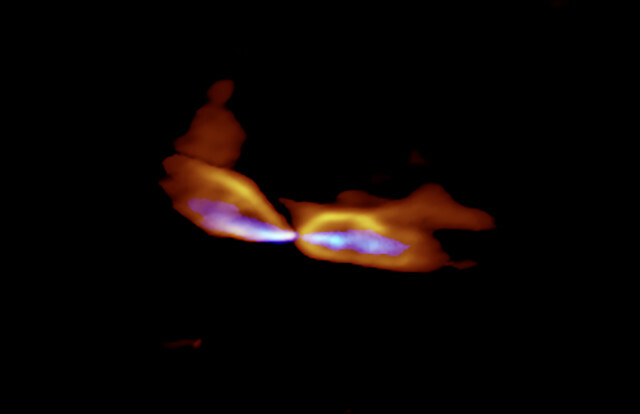 A team of researchers used the ALMA radio telescope to study this situation which was a mystery because there are two very different flows since one is a slow outflow while the other is a fast jet and they concluded that they were formed independently in different parts of the gas disk surrounding the star. An article published in “The Astrophysical Journal” presents an in-depth spectral analysis of the two active galactic nuclei and other X-ray sources of the two galaxies that form M51. 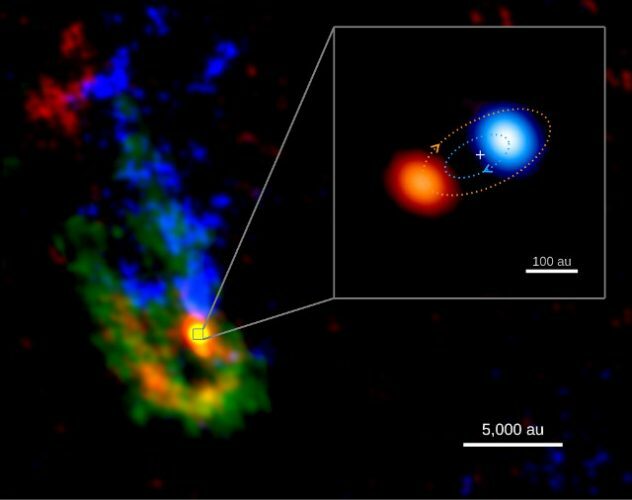 A team of researchers used NASA’s NuSTAR space telescope to detect high-energy X-ray emissions, which can pass through the layers of dust and gas that orbit the two supermassive black holes at the center of the two galaxies that are interacting in an initial phase of a galactic merger. 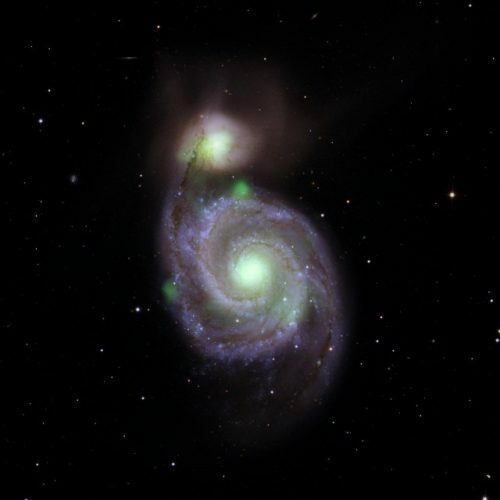 A surprise came from the emissions of a neutron star in the Whirlpool Galaxy, the larger of the pair.